Circa 2009. 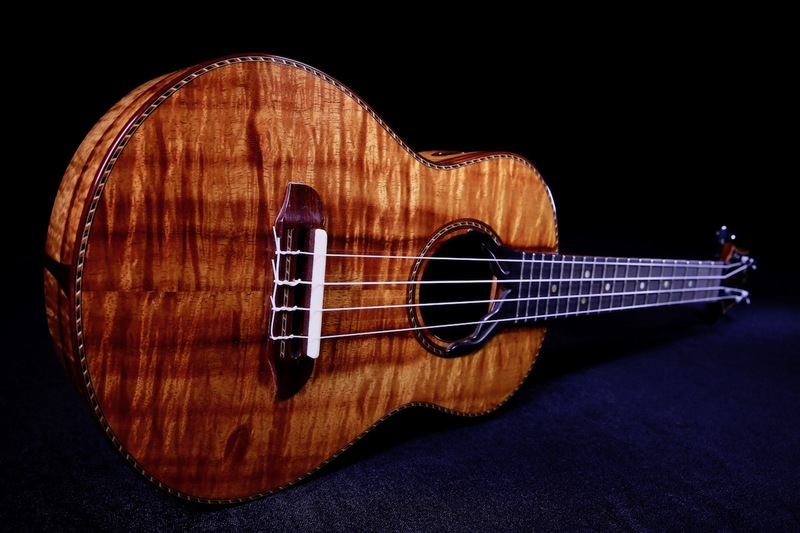 Custom Moore Bettah Ukulele. 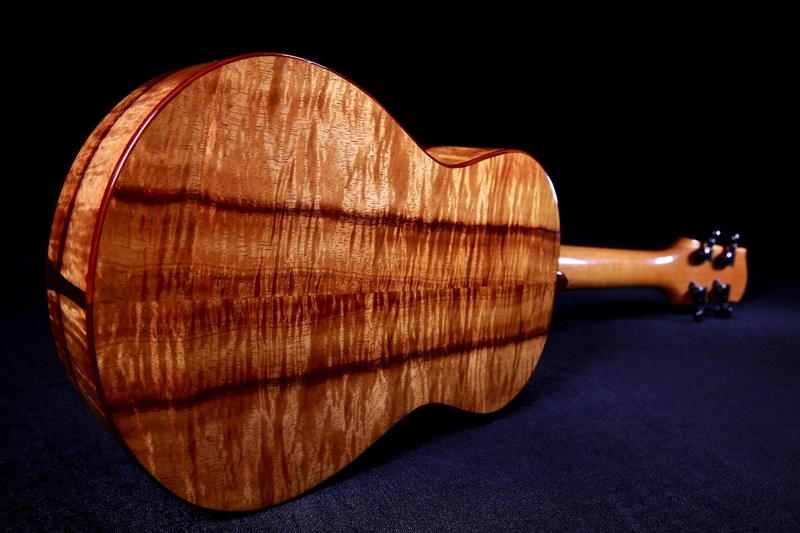 Beautiful Custom Moore Bettah Tenor Ukulele handcrafted by master luthier Chuck Moore of the Big Island, HI. 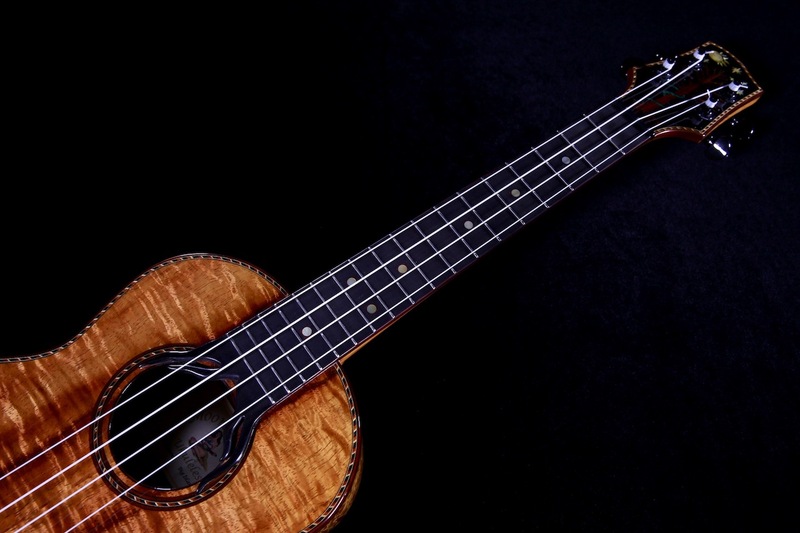 Chuck handcrafts some of not only the most aesthetically pleasing ukuleles available on the market but also professional recording level instruments for both the professional musician and recreational player. 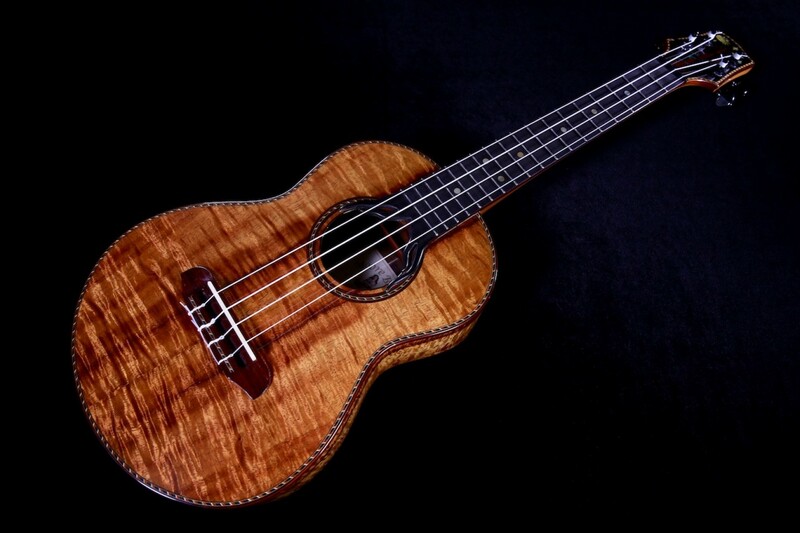 This wonderful and extremely rare Moore Bettah tenor ukulele was handcrafted with the finest materials and with the wonderful attention to detail. 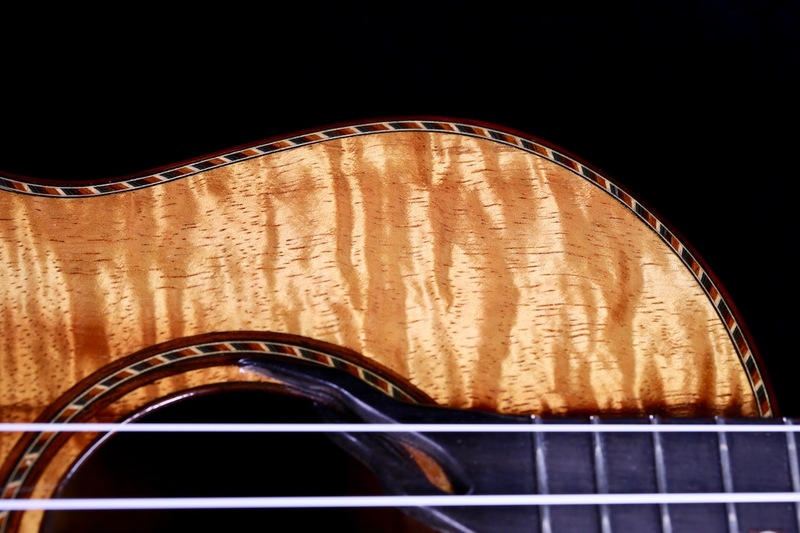 Gorgeous musicians grade Hawaiian Koa wood top, back, and sides, Ebony wood fretboard and Rosewood bridge, Maple wood, Cocobolo wood, Rosewood, and Ebony wood top marquetry with matching patterned rosette. 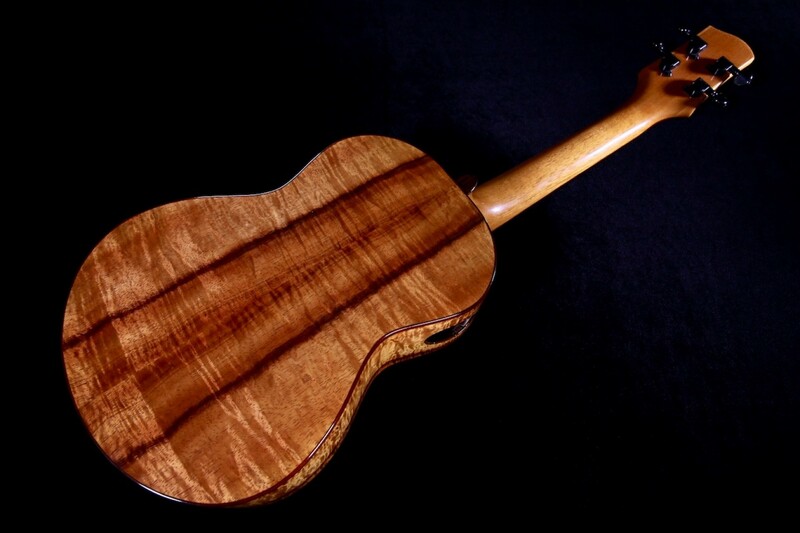 Cocobolo wood top and back binding. 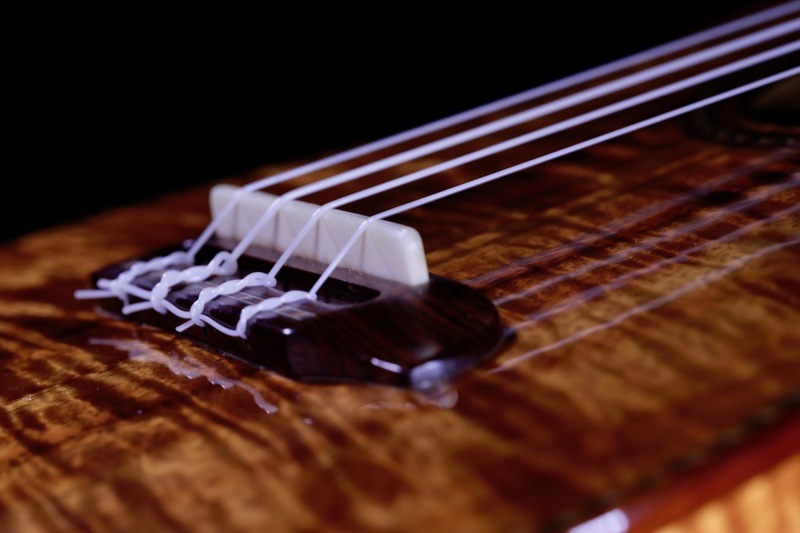 The fingerboard as it extends towards the sound hole was handcarved in the shape of a tree trunk with its roots protruding out toward the sound hole – absolutely beautifully done. 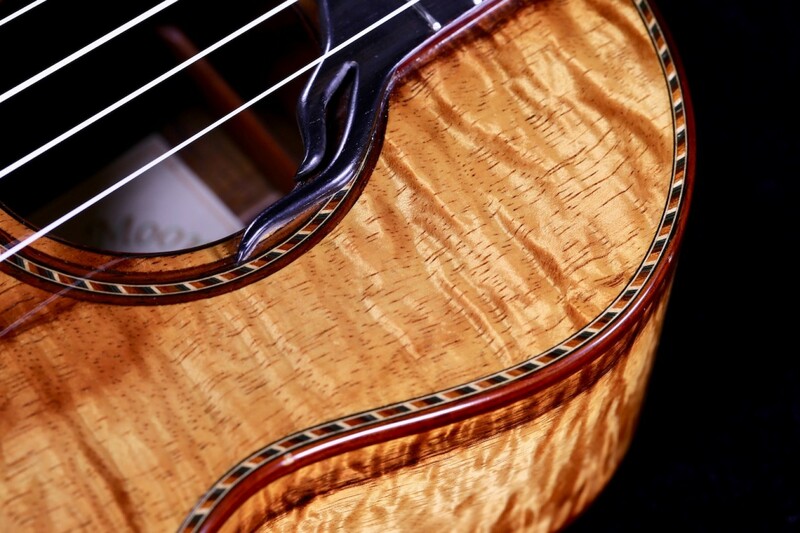 The neck was hand-carved from Honduras Mahogany wood and is carbon fiber reinforced for added stability. 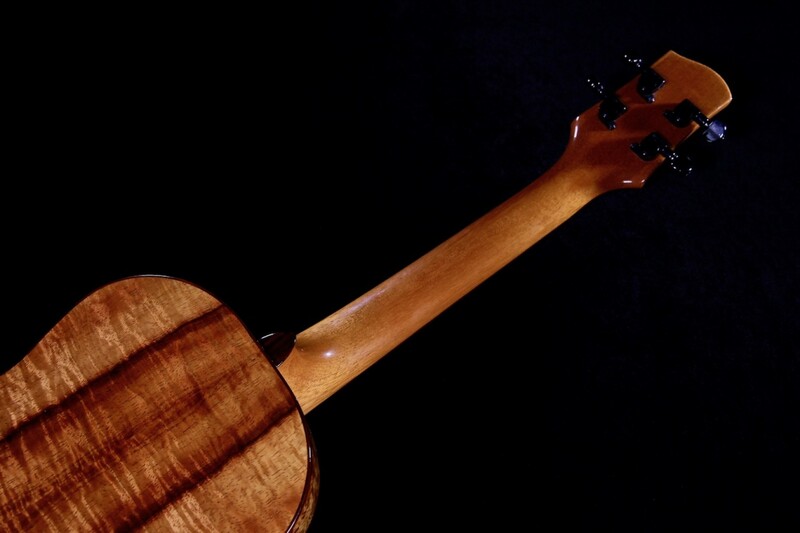 The soundboard and headstock boasts an elegant accent line giving greater definition to the variation in woods utilized on this beautiful piece. Side sound port for a monitor like projection. 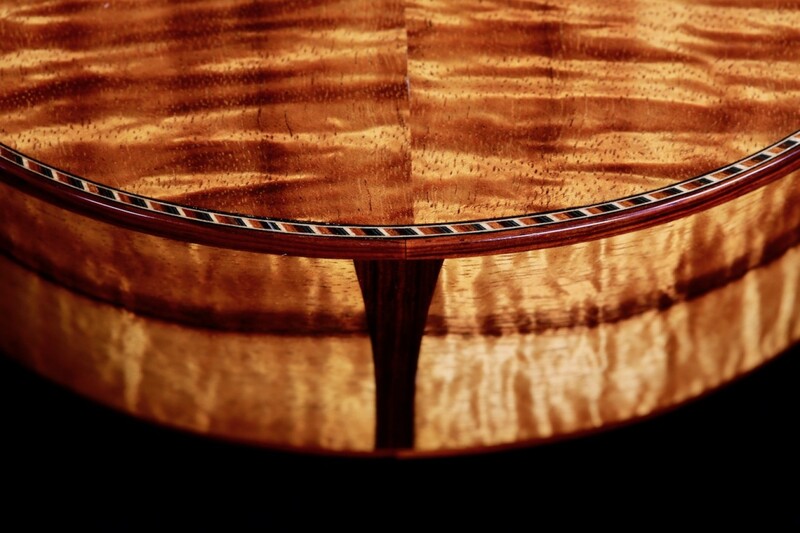 Beautifully inlaid positions markers on 3, 5, 7, 10, 12, and 15 for quick reference. 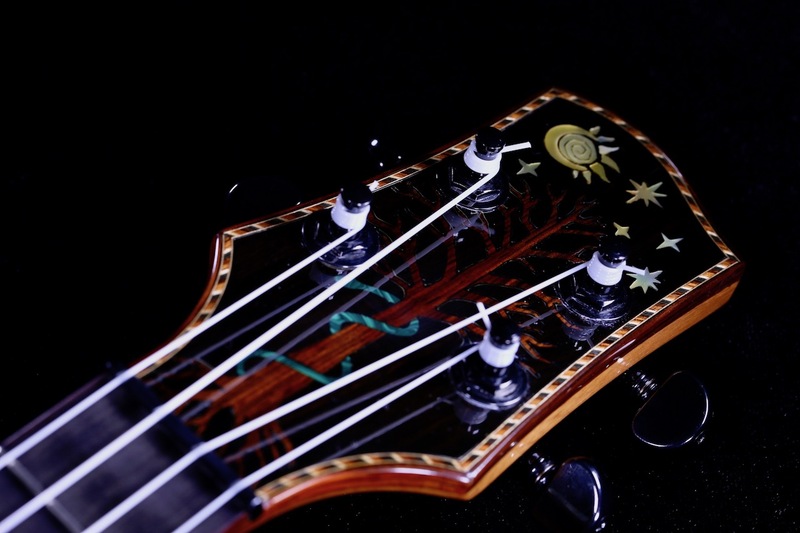 The theme of this piece is the ‘Tree of Life’ and the inlay on the headstock is set with a backdrop of the evening sky filled with stars and the radiance of the moon. Below it is the tree of life with a snake coiled around the trunk of the tree – mother-of-pearl, Cocobolo wood, and various reconstructed stone was used for the inlay. 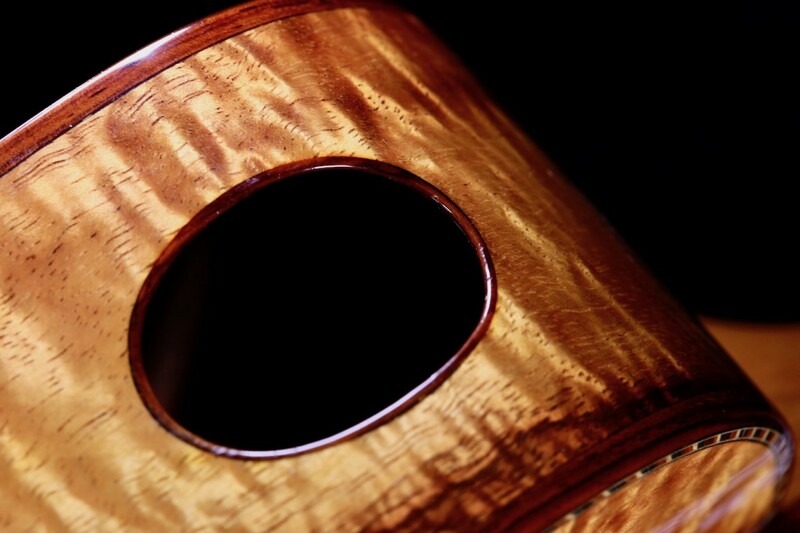 High gloss finish. 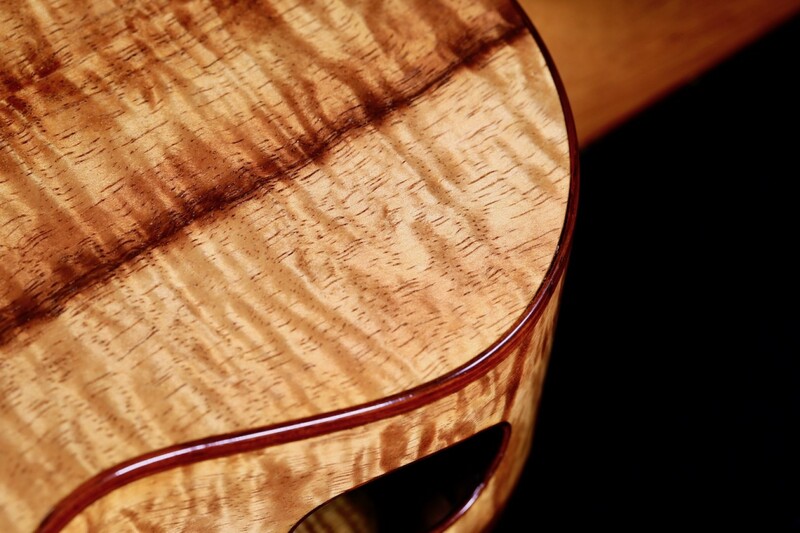 Bold tones with a very full sound. 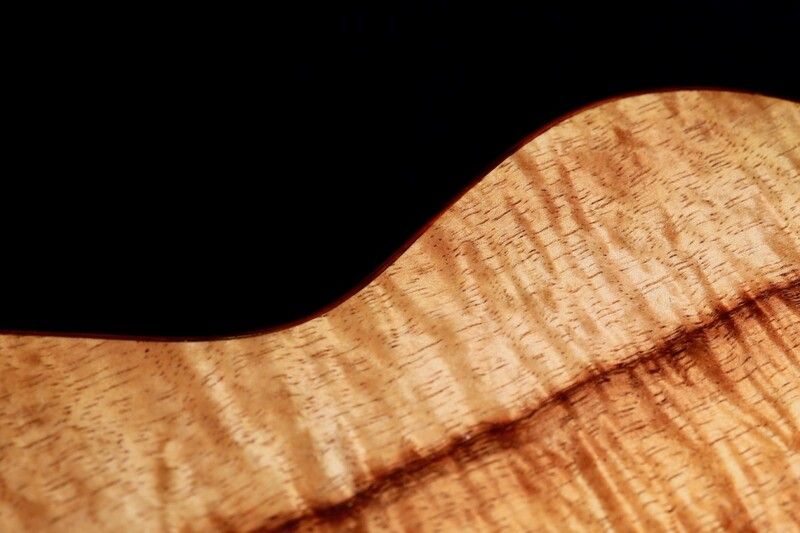 Excellent sustain with exceptional note separation, clarity, and projection. 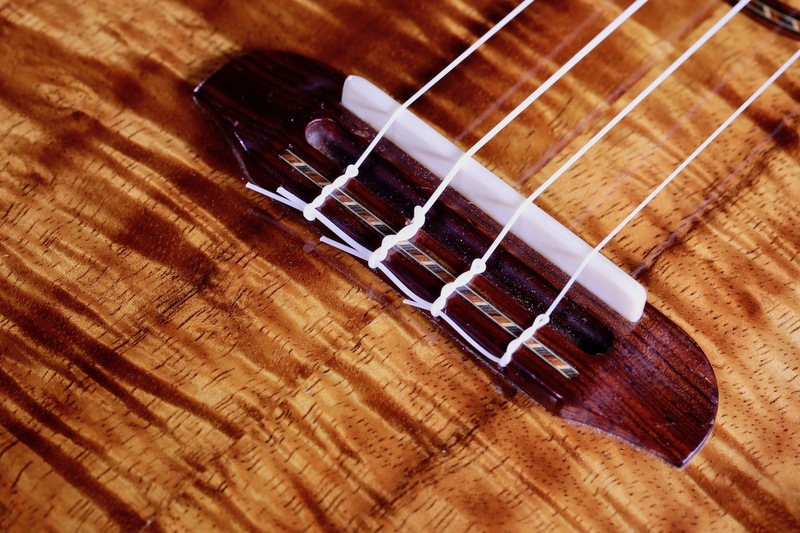 The instrument is very well balanced tonally all the way up the neck and spot on intonation as well. 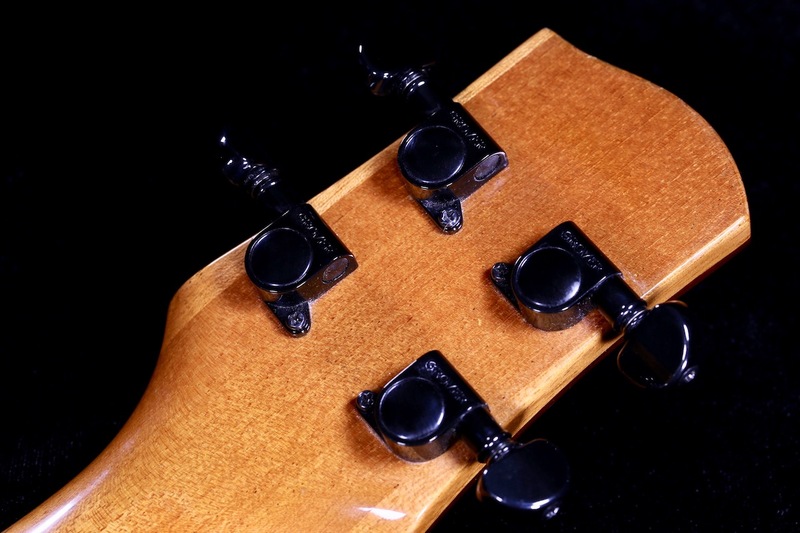 Highly recommended player piece. 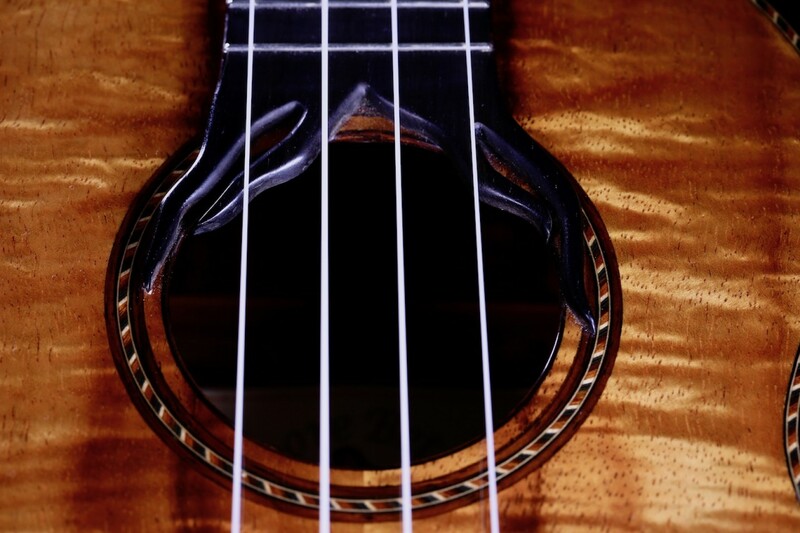 And this is as good as it gets for recording artists, weekend giggers, and the uke-lover at heart! ID#: 180220.